Fresh pourable products are ideal for use in commercial kitchens, restaurants, catering, etc. 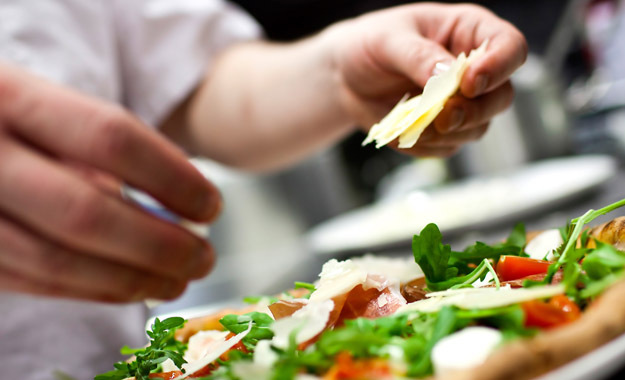 Our cheese products are ideal for use in commercial kitchens, restaurants, catering, etc. 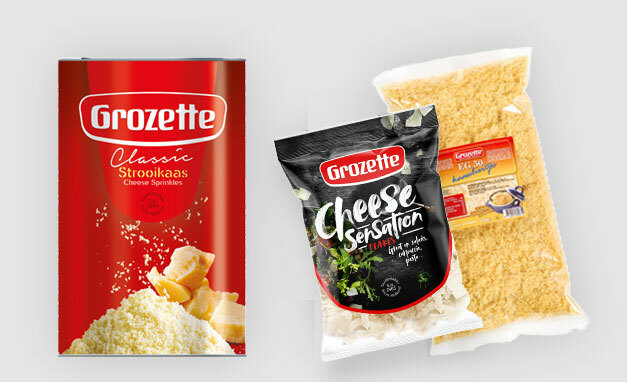 Grozette produces cheese products for commercial kitchens, restaurants and the catering industry, etc. Single dose packaging offers a perfect solution for use in ready meals. Our Italian flakes will give an extra touch to your salads, carpaccio or other Italian dishes. Do you want to enrich your sauces, soups or dressings? 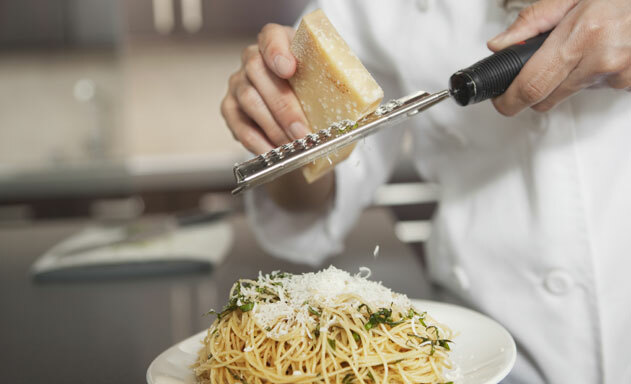 Our Formaggio da Pasta makes an excellent flavouring for your dishes. Gouda cheese is a semi-hard cheese that is made from pasteurized cow's milk. Emmentaler is a Swiss cheese made from pasteurized cow's milk. Cheddar is a hard cheese that is made from pasteurized cow's milk. Edam is a semi-hard Dutch cheese made from pasteurized cow's milk. Goat's cheese is a semi-hard cheese that is made from pasteurized goat's milk. Mimolette is a semi-hard to hard cheese that is made from pasteurized cow's milk. Grana Padano is a hard raw milk Italian cheese made from cow's milk with a protect designation of origin. Parmigiano Reggiano is a hard raw milk Italian cheese made from cow's milk with a protected designation of origin. Hard Cheeses are made from cow's milk and do not have a protected designation of origin. Maasdam is a semi-hard cheese that is made from pasteurized cow's milk. Manchego is a hard Spanish cheese that is made from pasteurized sheep's milk. Pecorino is an Italian sheep's cheese. Mozzarella is a semi-soft cheese that is made from pasteurized cow's milk. Low-fat is a semi-hard cheese made from pasteurized cow's milk. It has a lower fat content than traditional cheese. Organic cheese is a semi-hard cheese made from pasteurized organic cow's milk. Specific product or packaging requirements? We are eager to be of service.